LONDON — Cobalt's near yearlong price slide is finally ending, but high inventories of the battery metal will keep prices from quickly reclaiming 2018's 10-year highs. 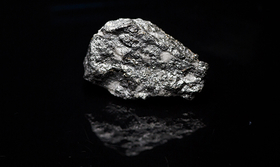 The Democratic Republic of Congo accounts for most of the world's cobalt supplies. It comes in the form of hydroxide, which is converted into chemicals for the lithium ion batteries also used in mobile devices. "High cobalt prices encouraged new supplies last year. Artisanal mining supply has exhibited enormous growth in recent years to bridge the gap between supply and demand," said CRU analyst George Heppel. "However, artisanal mining supply has declined in the past six months due to lower payables and the falling cobalt price. Artisanal is the swing producer in the cobalt market." CRU estimates supplies of cobalt from Congo's artisanal sector jumped to 24,000 tons last year from 19,100 tons in 2017 and 10,500 tons in 2005, when prices hit 12-year lows below $10 a pound. Rising supplies are also expected from higher output at projects such as Glencore's Katanga mine, expected to produce 26,000 tons this year from 11,000 tons last year. "The market is comfortably supplied in the short term," said Roskill analyst Jack Bedder. "There shouldn't be any risk of shortages as long as the big projects ramp up." Analysts expect cobalt demand at about 185,000 tons by 2023 with about 35 percent of that accounted for by the EV battery sector compared with last year's 125,000 tons and 20 percent, respectively. "Key markets for cobalt metal such as tools, magnets, superalloys are growing too, so we will need to see more metal capacity developed also," Roskill's Bedder said.